This is the true story of a young boy, fresh out of Newtown High School in Jamaica, N.Y., drafted into the Army in 1943. It's his first time away from home and family. 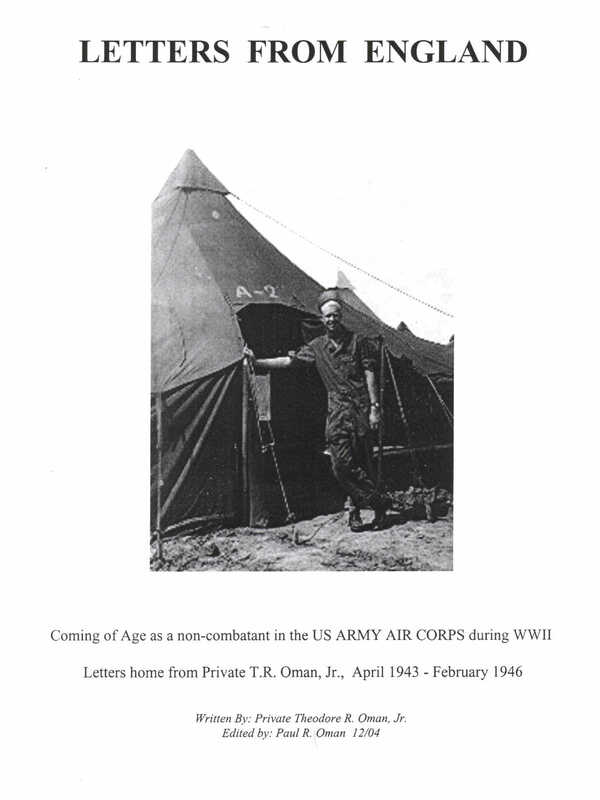 The book is a series of letters written by this boy to his mother as his Army experience takes him through a series of stateside training camps and then on to England where he became a photo lab technician for the Army Air corp and then part of the Army of Occupation after the defeat of Germany. It contains no descriptions of military action or adventure. Instead it is more like a 'letters from camp' book, timeless and 'G' rated in content. We watch this young man discovering the world around him yet always in touch with his mother and girl back home. We guess and speculate on the messages within the missing halve of those letters, those his mother and his girlfriend wrote to him. For anyone with a son or daughter contemplating a stint in the military, veterans recalling the non-combat army experience, or those who enjoy reading about youth coming of age, this is worth your attention. A paperback version of this book is available for $30 - including shipping within the USA.